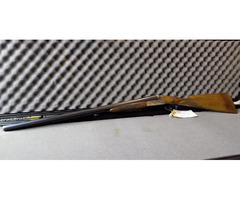 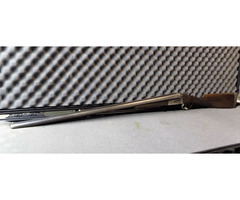 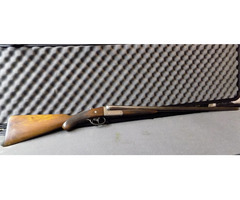 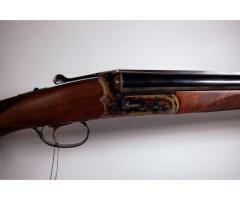 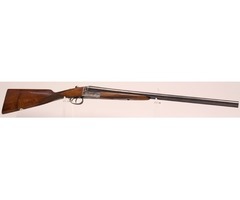 Laurona side by side shotgun, 12ga, 28" barrels chocked 1/4 and full, good usable gun. 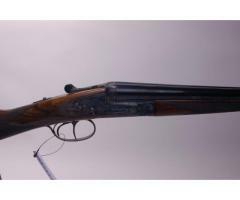 A good, Basque 12ga side by side shotgun, good tight action, good bores, 26" barrels with 2 3/4 chambers and choked 1/2 and 1/4. 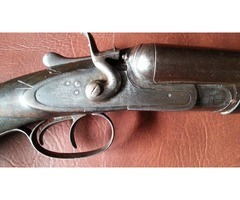 English box lock by T. Wild, Birmingham, 12ga, 28" barrels chambered 2 3/4 and choked full and improved cylinder. 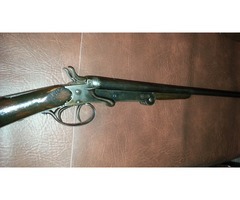 A good original Midland Gun Company side by side box lock ejector. 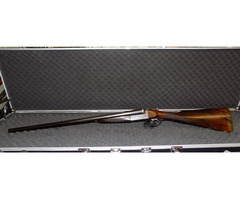 classic English gun. 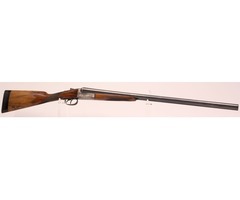 Circa 1962. 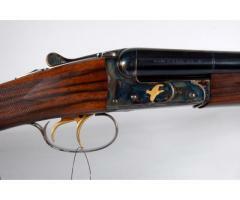 28" Barrels, Choked 1/2 and full, 14 1/2" LOP . 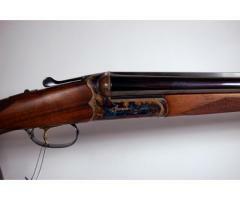 Good condition, slightly worn varnish towards rear of the stock (pictured).